I previously stitched this design in single stranded DMC cotton. When you purchase the Iris kit from Ms. Berlin you can purchase an extra piece of fabric with the Iris design drawn. Knowing bearded Iris are my favorite garden flower, I purchased two of these extra fabrics. 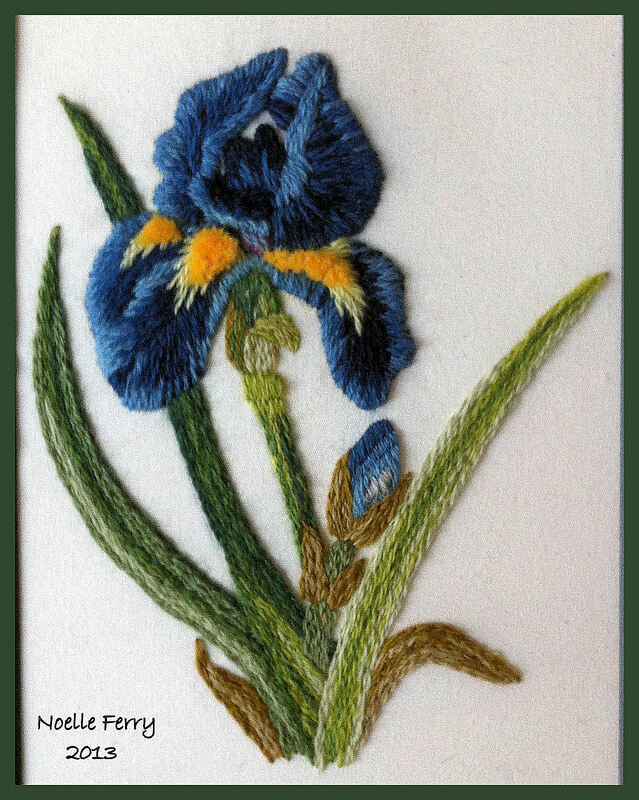 I still have one to stitch and plan to wait until spring time to view my Iris as they bloom and select the colors of one to use in my third worked piece of this design.